Join us for an evening of quilting fun. 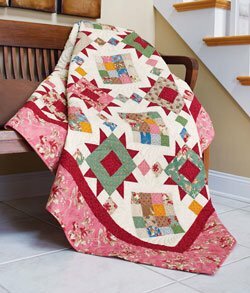 Each time we meet, you will get a free pattern for a scrappy quilt perfect for reducing your stash. Bring your STASH BUSTER project for show and tell and we will serve some "sweet treat". RSVP to reserve your spot by calling 479-524-5244 or email quilter@sagercreekquilts.com.